Started in 2012 TRACES is a annual professional educational platform for dance and choreographic practice based in Ouidah, Benin. TRACES focuses on the analysis and re-elaboration of of traditional dances trough the lens of the Axis Syllabus and complementary subjects (music for dancers, study of FA, choreographic approaches, dance history, professional ethic). 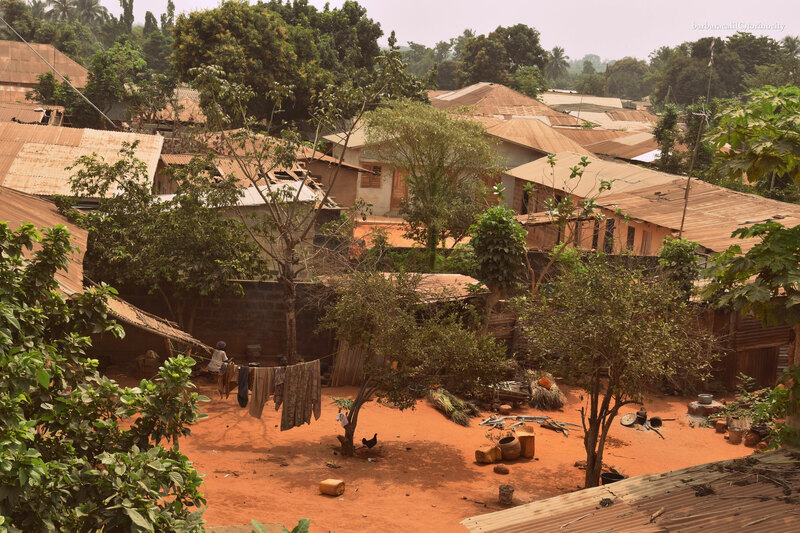 The intention is to furnish knowledge, skills and experience, adapting our strategies to the social - political context of Benin and simultaneously create a context of exchange in which participants can find and structure a language from their own experience. 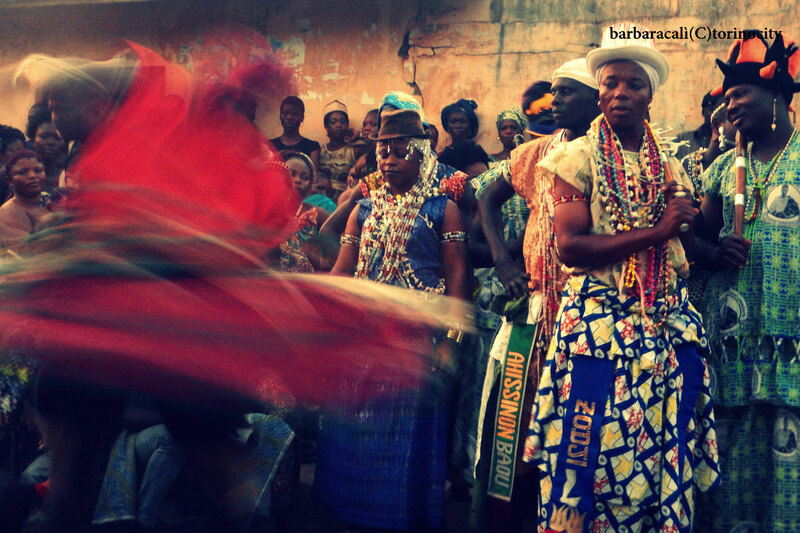 Our foundational focus are: to provide tools, to structure and stimulate individual creativity, to experiment with cross-disciplinary media and communication, probe the interaction and impact that different art-forms amd cultures can have on each other. 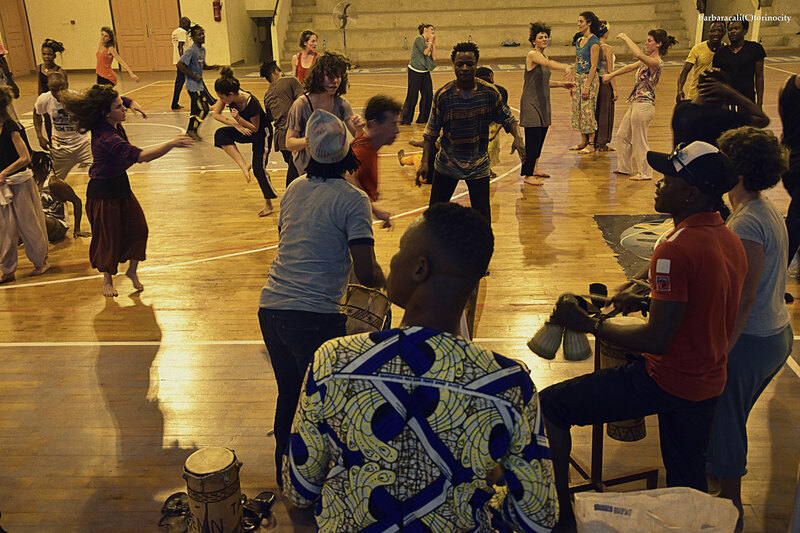 TRACES is open to dancers of all nationalities who have a background in any movement discipline but specifically targets dancers resident in Africa, particularly in Benin. Every year there are few places reserved for dancers from abroad, such as artists that have a strong interest in inter-cultural exchange and/or Axis Syllabus research. A selection will be made on the basis of a written curriculum vitae and a motivation letter. 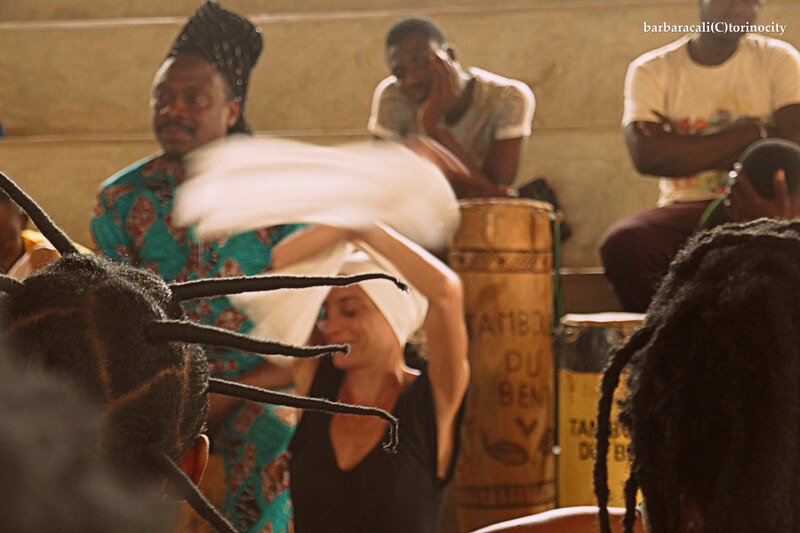 Dance-artist Francesca Pedullà and musician Eric Acakpo work together since more than 10 years, teaching, creating contexts for cultural and artistic exchange and performing in Benin and abroad. They founded the Beninese Cultural Association Sonagnon in 2006 with the aim to protect and share the richness of Beninese culture and provide an exchange platform for artists from all over the world. From 2008 to 2012 they co-directed the international project Dialogues Inévitables realized in collaboration with various cultural association and with the support of several international institutions. 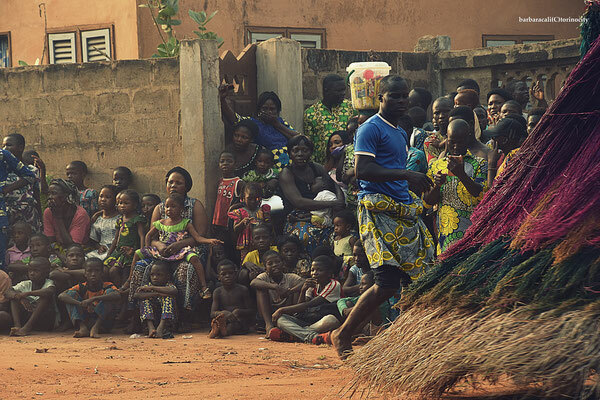 Since 2012 they co-direct TRACES, an annual professional educational platform for dance and choreographic practice based in Cotonou and Ouidah with the collaboration of the Axis Syllabus International Research Network. Their artistic and pedagogic collaboration focuses on the Vodoun philosophy and its expression in music and dance. Their attention is captured by the structure and phasing of ritual as a performative act, where the body, the rhythm, the voice, the gesture, object and repetition become instruments of evocation, portals for connection and access to collective memory. These processes translate from the persona to the collective, and although structured, leave space for improvisation. Is it possible that ancient values and practices maintain their validity in the contemporary society? How do they adapt and manifest? Is it possible that ancient and current performative practices could enrich each other? How can we, as artists, look at ritual and re-elaborate the wisdom that passes though the body in such a vivid way? On How We See - Questioning the curatorial gaze is a long-term indipendent project that we are carrying out since 2014. The research focuses on curatorial practices in the field of performative arts and their way of dealing with post-colonial discourses, neo-colonial power dynamics and policies of migration and accessability. In the present time, dichotomic thought seems to persist, altough it is no longer a valid way of looking at things. How do we deal with this contradiction in the context of "global curatorship"? How do we overcome oudated way of categorizing and reading the world and by consequence artistic works? The specific interest is to question how cultural filters and trends affect perception and influence curators ( both institutional and indipendent) in their way of look at, to select and to contextualize performances. Further related investigation is to examine how funding guidelines inform curatorial decision and strategies, which in turn influence artistic practices and audience taste. The subjects at stake will be approached, specified and circumscribed from a transdisciplinary point of view, on the threshold between art and science, theory and practice. 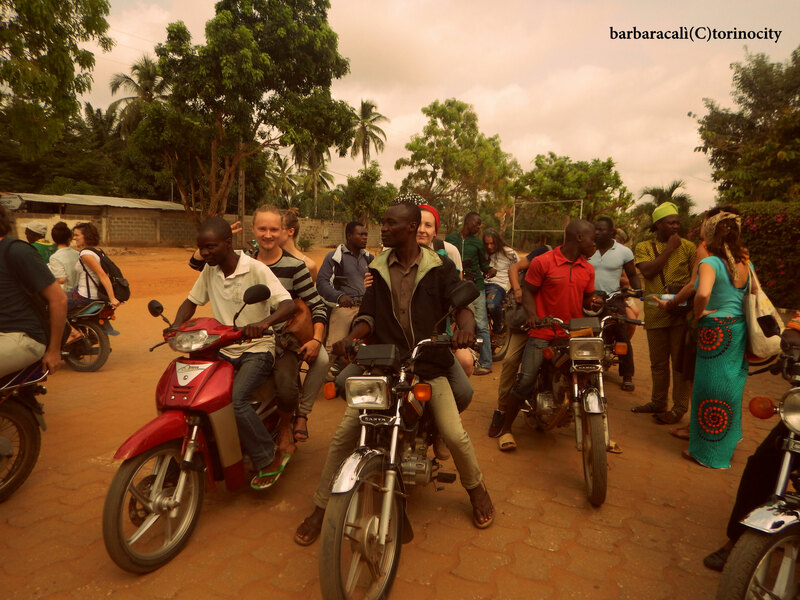 The project is been nourished through a continuous process of exchange with numerous international curators, artists, activists and their networks. On How We See is a modular format, which can host a variety of events: in-depth research periods, meetings/exchanges, laboratories for professional experts on related themes, public encounters, performances, conferences, screenings, etc. The range of the format will adapt to the financial support that the project will receive: even with a minimum of financial support bits of the project will be realized to not waste the research and make the work sustainable. At the moment we are in dialogue with different institutions and funders.